The Of Zinc in Antique Finish provided by us is extremely convenient to use and lasts for longer periods of time. It is acclaimed for its higher corrosion and abrasion resistance. available in all size and shape. Artistically crafted, our range of pottery and marble crafts are truly masterpieces. These crafts are not only sturdy and durable but they are elegant and sophisticated as well. Available in exquisite designs, unique colors and competitive prices, our range is designed to lend elegance to the ambiance. description: artistically crafted, our range of pottery and marble crafts are truly masterpieces. These crafts are not only sturdy and durable but they are elegant and sophisticated as well. Available in exquisite designs, unique colors and competitive prices, our range is designed to lend elegance to the ambiance. 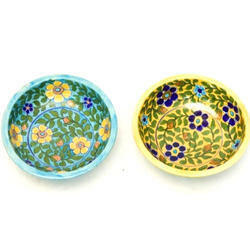 Being an eminent organization in the industry, we are involved in providing a premium quality range of Emerald Pottery. Handmade dinning table jar made by artisans of Jaipur. Made up of procelian. Order one peice as sample on returnable basis. Q Exclusive Online Shop Pvt. Ltd. Wonderfully designed Blue pottery Craft on its top make it more beautiful item and it is available in different color is famous art of Rajasthan. 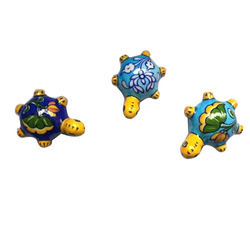 We are the leading exporter of blue pottery item and handicraft items.